Dinner last night at Noor's Indian Bistro, on the east side of Myrtle, just south of Foothill. Got the Mughlai Masala (chicken) for $13 and a non-alcoholic beer (just to see what it's like) for $5. You really need rice with this, so my wife and I shared a bowl ($4). 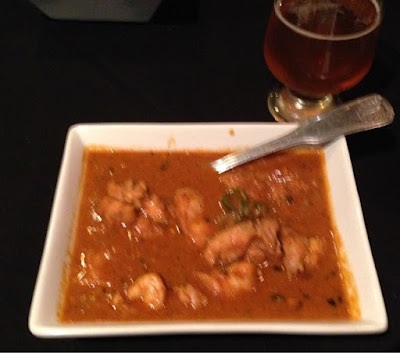 The meal was fine but I preferred the chicken tikka masala - I stole some from my wife and it was yummy.